The single most important characteristic for any would be blogger who wants to know if there is money to be made by blogging is to be consistent. If you plan to blog once a week, then do it every single week. If you plan to post daily, do it daily. If you plan to post twice a day, do it twice a day. John Chow credits the success of his blog to the fact that he has never missed a day of posting and he generally posts something at least twice a day. If you start posting to your blog and then forget about it, you are asking to lose your readership. The single biggest reason that so many failed bloggers say that there is no money to be made by blogging is that they give up before they are able to be successful. It takes months and possibly as long as a year or two before you build up enough of a regular readership of your blog to get to the point where you are making money from blogging. Another key mistake that many people make when trying to make money from blogging is that they jump from one topic to the next without any focus. Blogs must have a specific focus in order to build a readership. The more focused you are, the more likely you are to build yourself up. This means that you cannot be writing about your trip to Disneyworld with the kids one day and about the latest Star Trek movie the next day. Speaking of that, unless you are sharing which rides are the best ones in various amusement parks or you are doing movie reviews, you probably should be talking about your trip to Disneyworld or the latest Star Trek movie anyway. The fact is that many people who fail to make money by blogging fail because they don’t understand that people aren’t interested in their mundane lives. They visit blogs to learn about something new. Either share an opinion about something you are passionate about or provide helpful information. Simply writing about your everyday life is fine for family, but it’s not going to make money for you as a blogger. Yet another common mistake and another reason that so many people claim that there is no money to be made by blogging is that they pick a topic they think will make money but which they aren’t passionate about. As a blogger, you need to be writing constantly and if you’re not passionate about your subject, not only will you fail to engage your audience, but you’ll also be likely to give up too soon on getting useful content onto your blog since you’ll be bored. 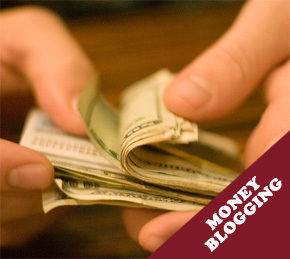 Finally, if you want to know whether there is money to be made by blogging, you won’t find out if you simply slap your blog up and don’t do anything about making money from it. This is a complicated subject and there is no easy answer although you have put together some very good points, which if followed, would help anyone starting out. I would guess that not many bloggers make money out of something they are passionate about and this makes it hard to commit to regular posting. I guess John Chow is passionate about money, hence his success! More and more bloggers are finding that blogging is a profitable medium that always fail. Whether it be to earn a few extra dollars a week to feed their coffee habit, or making enough money to stop them having to get a part time job to get through college, or whether they’ve got it to a point where they are able to make a full time living from their blogging – there are tens of thousands of stories and what we can follow is our passion…. WoW! That inspired me a lot and motivates me to keep on blogging. This post really works for me. Thanks. Among all the above points the most important point is being passionate about the blogging. Your passion will motivate you to work harder even if you are not making any money. Maintainig consistency with quality contents will bring reputation in your niche that will be converted into money someday. I think that it definitely helps if you pick a subject that you are passionate about. It’s a lot easier to keep posting on a regular basis if you have a genuine interest in your topic. I think that’s even more important than an in depth knowledge. You can always do your research along the way – and nobody knows it all anyway. If you have a good, interactive blog, you will be as likely to learn new things from your readers as they are from you. I’m glad to hear a realistic response to this popular question… I too was wondering if it was still possible in 2011 to make some money with a blog. The trick I guess is to get your posts in front of as maney people as you can. After reading this post, I’m just not sure if I have it in me to be a successful blogger. I’m trying to be more consistent, but the focus is something I lack. Finding just the right niche and being passionate about it is difficult. To top it off, my regular posts that must have passion, must have value too. Some of what I blog has value, but not everything.